These handmade Santa & Mrs. 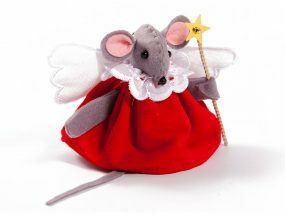 Mouse Christmas Tree Decorations are dressed in bright Christmas red velveteen with a white fur trim. Santa is carrying a little Christmas tree and Mrs. Santa is carrying a Christmas wreath. 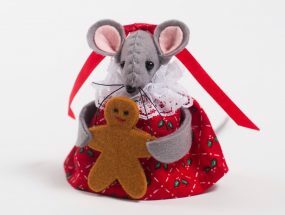 They stand taller than our other little mice and look gorgeous on a tree, or standing on a mantelpiece or shelf. 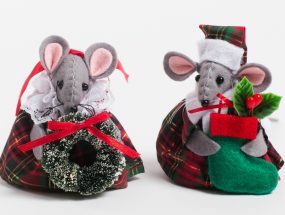 Your festive Mouse collection would not be complete without these Santa and Mrs Mouse Christmas Tree Decorations. 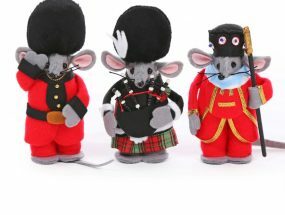 They stand 13cm tall so are bigger than our other little mice and are truly eyecatching. 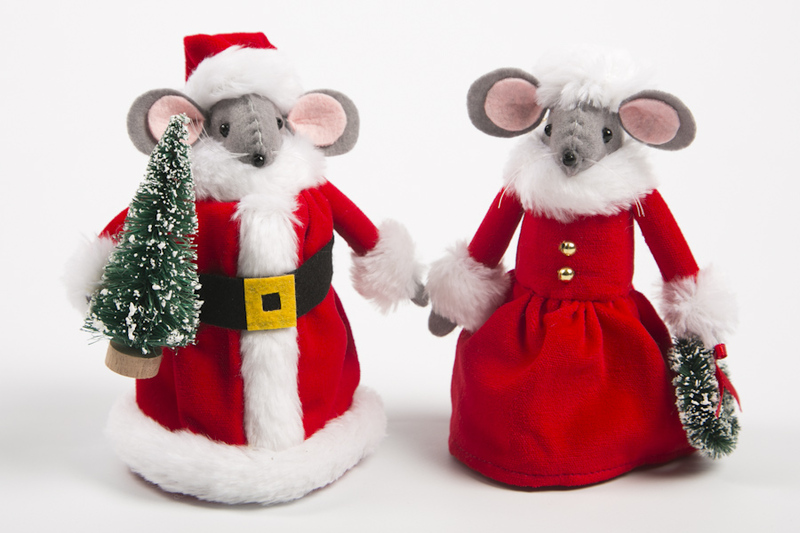 They look lovely standing with the two little Festive Mice Tree Decorations – a very happy family.